Save the Memories workshop, BC Historical Federation Conference, Chilliwack, 2017. Photograph courtesy of the BC Historical Federation. 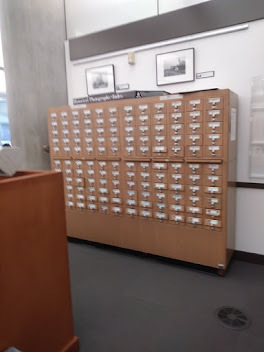 I'm always happy to connect with anyone interested in genealogy and history. Sign up for CanadaGenealogy News below. And if I can help you with tracing women, or Canadian or Scandinavian genealogy, I'm doubly happy. 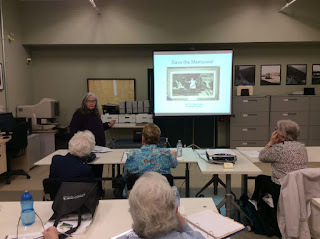 I teach genealogy classes regularly in Greater Vancouver. I give talks and do workshops relating to genealogy year round. Let me know if you're looking for a speaker or workshop leader, whether for general interest or for specific topics. Learn more about my experience and topics here. 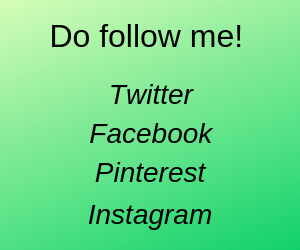 Come and meet up with me at an event or connect with me on social media, via e-mail or even - by telephone. But I warn you either Twitter or e-mail is best as I'm not home much. Too busy doing genealogy! I do my best to answer e-mails and messages in a timely manner. 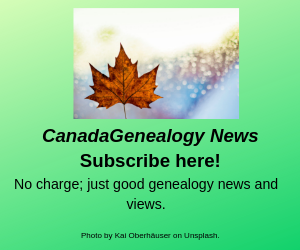 The Vancouver Genealogy Group - monthly, free. A fun, friendly, supportive group whether you're new to genealogy or experienced. Second Tuesday every month; Central Branch, Vancouver Public Library, 3rd Floor meeting room. Learn more about us at our Vancouver Genealogy Meetup site. The Scandinavian Genealogy Group - monthly except July/Aug & Dec.; free. A very helpful group researching all Nordic countries and emigrants too. Usually the third Saturday, Jan-June/Sept-Nov, 1-3 pm at the Scandinavian Centre in Burnaby. Learn more about us and see all upcoming dates at the Scandinavian Culture Society's website. The Lower Mainland Bookcrossing Meetups - free; twice monthly, in Vancouver and in New Westminster. We share books, give away books and we do talk about everything (including some genealogy). Get the details at the Lower Mainland Bookcrossing Meetup site. Abbotsford Family History Day - free! 25 classes offered. Read about this event here. 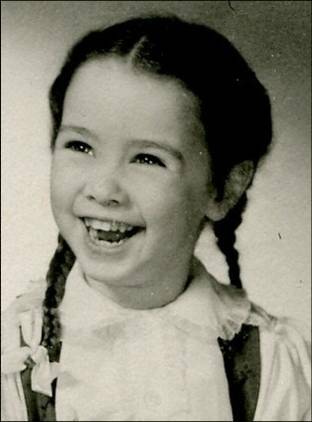 Here I am in my school days!